Summer is for bumming at the beach or by the pool with friends and family, and our brand new Beach Bum Gnome Seashells Collector. A wonderful addition to garden parties or swim parties, he reminds us of the simple innocence and joy found in collecting seashells by the sea shore. 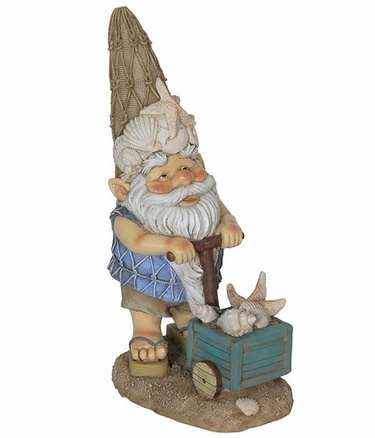 So relax, soak up the sun, and welcome our new Beach Bum Gnome. While you're at it, add to your own collection and collect some of his other Beach Gnome friends today! Size: 9" x 6" x 15"H, Resin.